You know that feeling of being nervous, scared, and excited? If you ever went to the prom you'll know what I am talking about because that is the closest way I can describe it. I need calm and this picture brings me there. 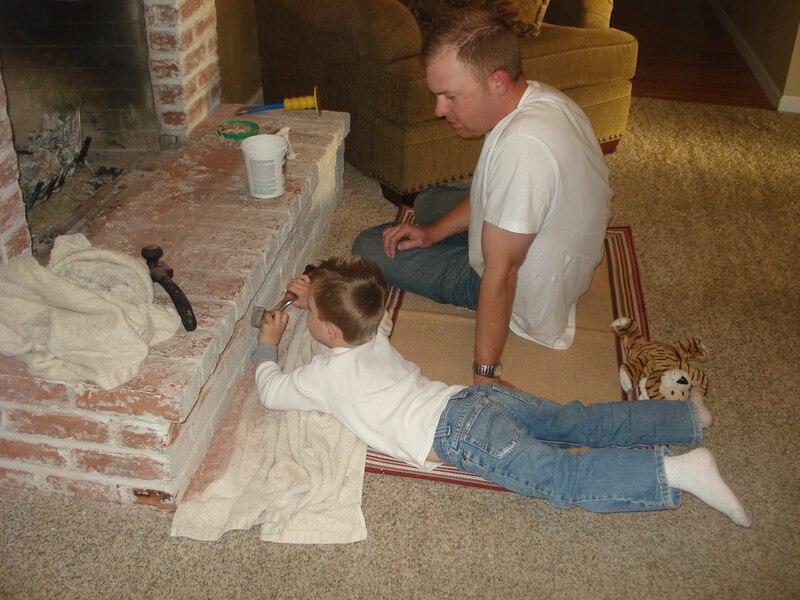 Look at them so nicely scraping off the paint from our brick fireplace. So peacefully working together. The calmness of father and son working together to get a project done. Helping each other like a team. That is so nice. Look at Tiger resting by Nathan's foot because "Nathan is busy!" I am so excited though, and it's thrilling, full of new possibilities and yet I have this nervous energy that I cannot get rid of. It's like being in high school all over again. And trust me, I don't want to go back to high school. I love this post April...warms my mommy heart!